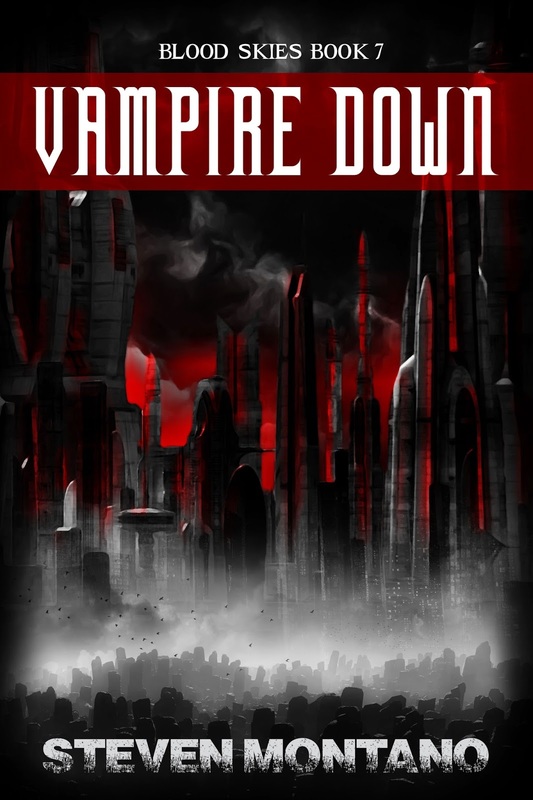 Today, I am very excited to be able to help author Steven Montano reveal the cover for his final installment in the Blood Skies series, Vampire Down!! Available Friday June 27th in Ebook and Print format. Steven Montano was something terrifying in his previous life. Now heâs an accountant, so not much has changed. An avid hiker, reader, San Antonio Spurs fan, goofball husband and father of two, Steven writes novels (the seven volume Blood Skies series, the Skullborn Trilogy, something blackâ¦, and the upcoming thrillers Blood Angel Rising and Colder) and drinks a lot of wine when he isnât busy pulling his hair out over payroll or trying to balance the company books. Visit the authorâs website and check out the Vampire Down page on Goodreads!